The history taught in schools is often inaccurate and irrelevant. It deals with the who, what, where and when, but less often the causes or the outcomes. 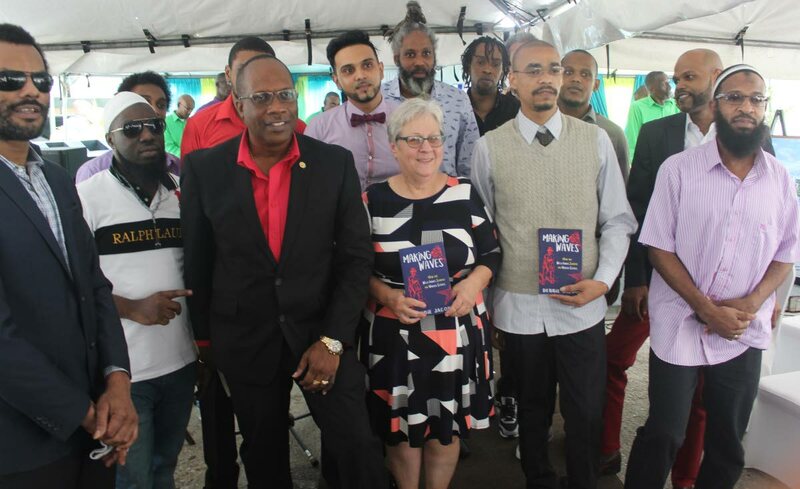 According to Superintendent of Prisons, Charmaine Johnson, Debbie Jacob’s new book, Making Waves: How the West Indies Shaped the US, is not one of those books. She described the book as a quest for lives lived, a search for self-knowledge, and a hunger for self truth as it detailed the physical, emotional, educational, commercial, intellectual, and spiritual contributions the Caribbean made to the US. She recounted the five years of research which included searching through rare documents, trial transcripts, tracking down letters, and getting FBI and CIA files. She said her favourite discovery was through a friend who told her about Haitian Jean Baptiste Point du Sable who paddled in a canoe up the Mississippi River to settle in a wild onion field of Shikako, which is now Chicago. Finally she added that she would be pitching her latest prison venture, bringing The African Prison Project to TT so that inmates and prison officers could earn law degrees online from the University of London. Reply to "History lesson well learnt"